The first-generation Cruze, introduced for 2009, represented GM’s first major taste of success in the compact segment in quite some time. A world car in the truest sense, the Cruze sedan (and later hatchback and station wagon, though those weren’t for American consumption) was assembled in ten different countries and sold in far more. 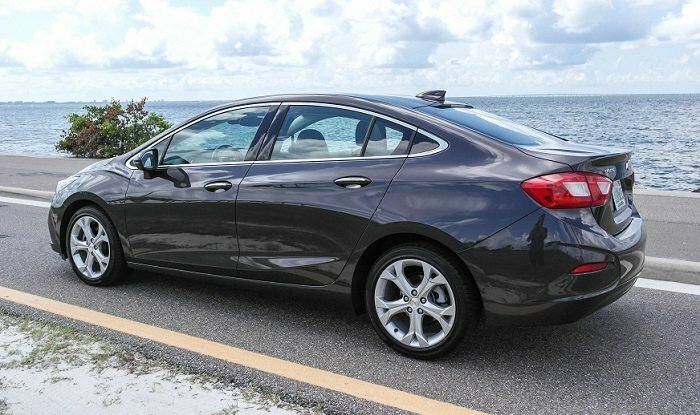 It wasn’t without its flaws, of course – chief among them was a bit of a weight problem, which at least lent the Cruze with a big-car sense of solidity found lacking in most of its competition. But on the whole, it was a massive leap forward from the Cobalt it replaced here in the US, and gave the rest of the segment quite a bit of trouble from a sales perspective. No pressure for the new car, then – right? 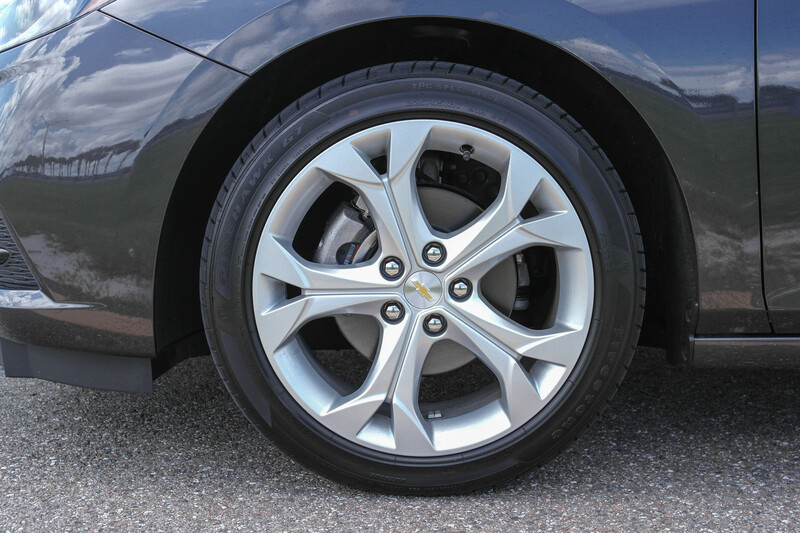 Happily, GM has addressed the elephant in the room, which was in fact the Cruze’s elephantine curb weight. 250 pounds has been slashed from the new platform, done without an appreciable decline in that aforementioned feeling of solidity. 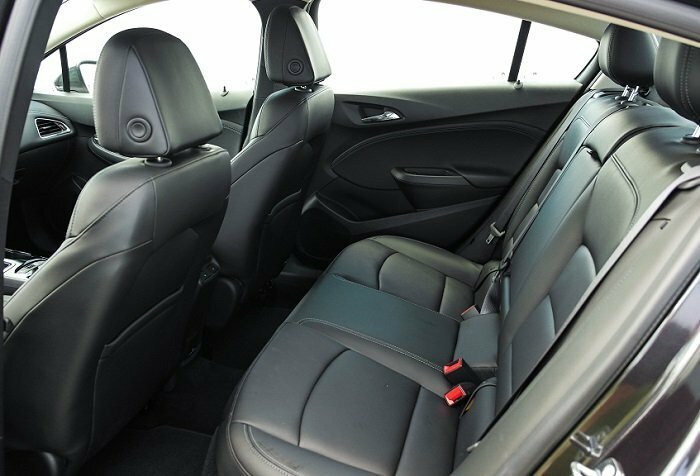 The Cruze doesn’t really even feel like it belongs in the compact class it competes in; the interior is stretch-out spacious, even in the back seat, and the trunk has serious storage. 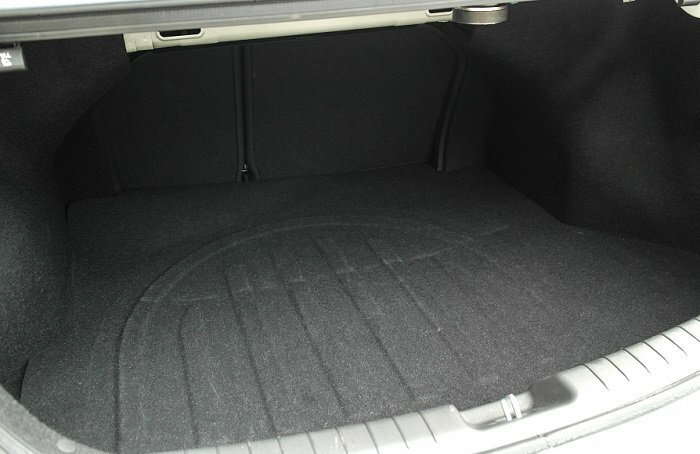 It’s remarkable that the Cruze still casts a relatively small shadow, such is the amount of space on offer inside. It’s not quite the roomiest car in its class, but you’d never notice. It carries itself down the road like a larger car as well, despite all that weight being liposuctioned out – it’s quiet, rides well and generally feels the way the Accord and Camry of the 1980s probably felt to my parents. 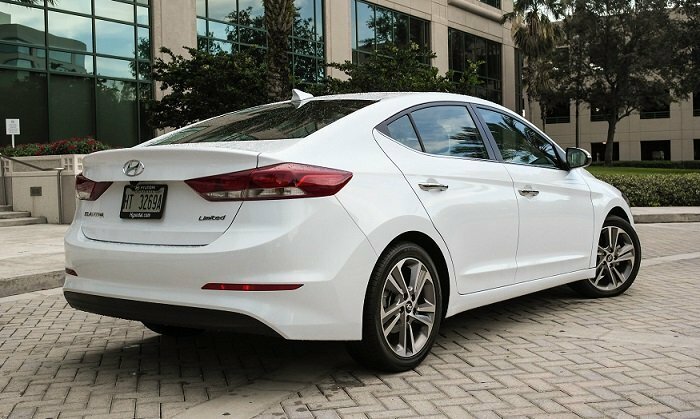 Similar things can be said of the new Elantra, which is new for the 2017 model year. Twice as much high-strength steel has been used compared to the outgoing model, so even though it grows in length and width, it sports a lower curb weight and is structurally stiffer. 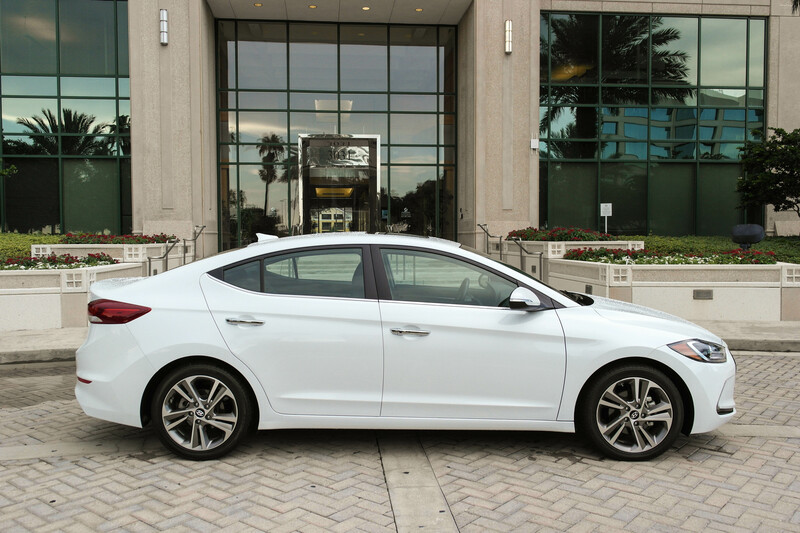 Dimensionally, the Elantra closely mirrors the Cruze, in that both of them offer midsize levels of interior space, though it’s technically the Hyundai that takes the size crown with two more cubic feet of passenger space and a similarly sized trunk. 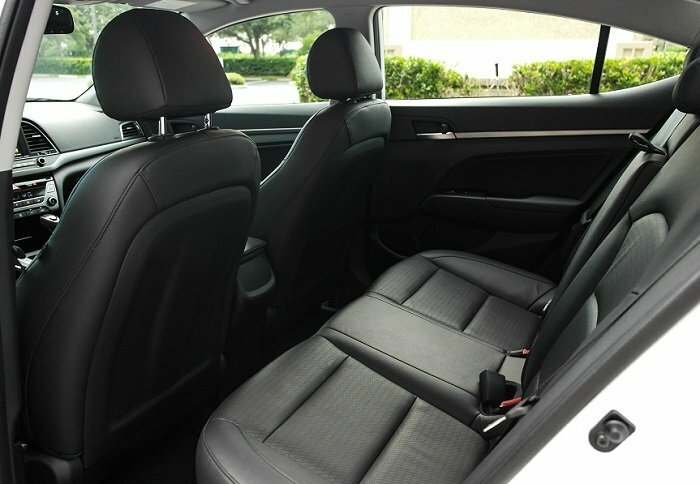 Both cars feel as if they’ll handle four adults for long stretches without too much complaint, although the front chairs in the Elantra are positioned a bit too close to the floor, resulting in a less comfortable, splayed-leg driving style – the Italians should be proud, because Hyundai appears to have poached their preferred seating position. 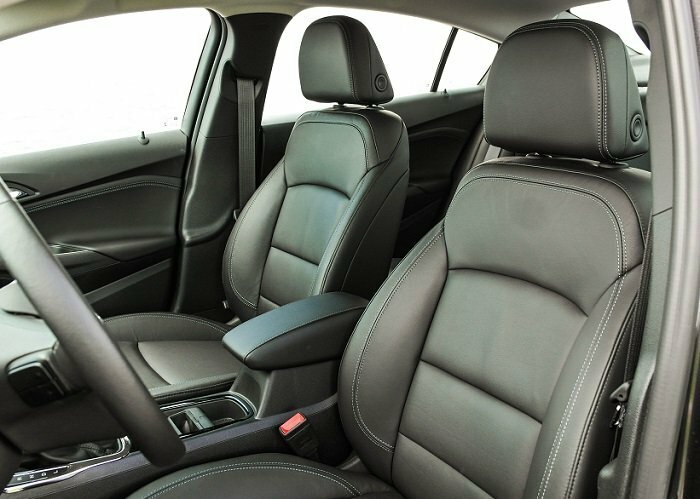 The Cruze’s seating and wheel arrangement feel more intuitive, at least for someone of considerable height like myself. Solidity is also imparted by both of these sedans’ folded new sheetmetal. 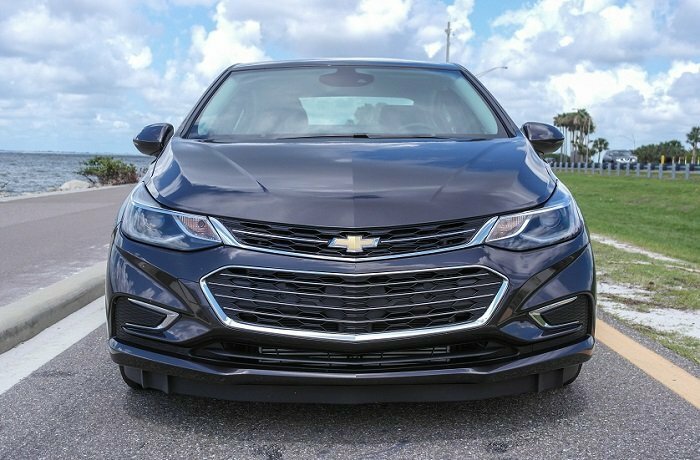 There’s more than a hint of the Volt and Malibu’s fastback design language present in the Cruze, and the new corporate two-tiered grille is present and accounted for. It’s a modern and pleasant-enough look, if somewhat predictable. The previous Cruze design was showing its age, but it did at least look distinctly different than the competition, especially with its arching, single line of a fastback roof that echoed the pleasingly Teutonic design principles that VW was once known for. It certainly wasn’t just another jellybean-shaped compact. The new look is far more angular and upscale, but a little less distinctive at the same time. 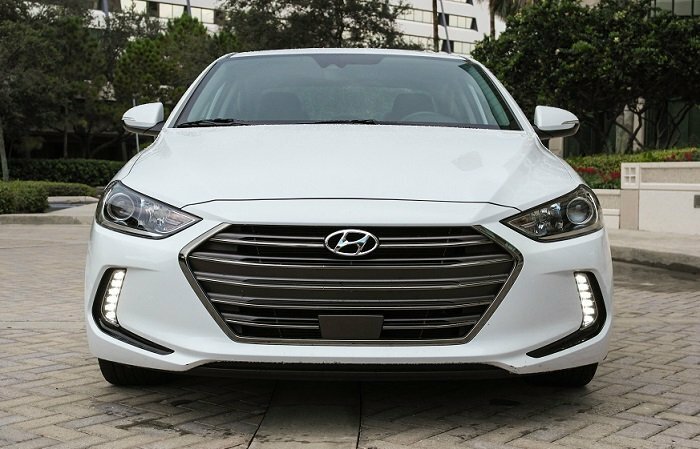 Hyundai’s chrome-faced front end, at least in the upper trim levels like our Limited tester, is actually quite handsome. 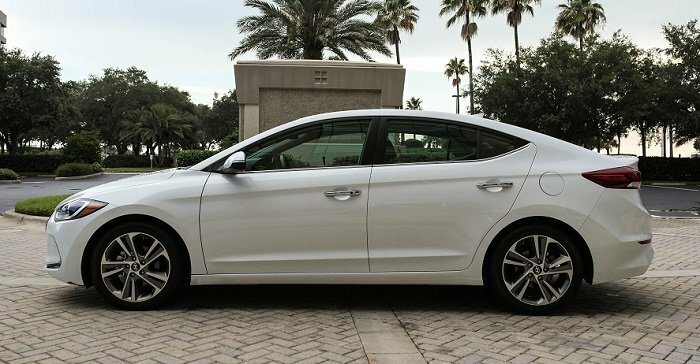 I like the fact that the nose slopes down the ground and away from the windshield, which imparts the Elantra with excellent forward sightlines and provides a respite from the jutting-forehead side profile look of most new cars designed with pedestrian safety in mind. However Hyundai managed to comply to the regs while keeping the visuals in check, the collective viewing public at large appreciates it. Before delving into the value side of the equation, which no doubt weighs heavy on the minds of anyone shopping the compact class, let’s see what separates these two out on the road. Both are front-wheel drive, four-cylinder powered, and each have six forward gears in their conventional automatic transmissions. No surprises there. 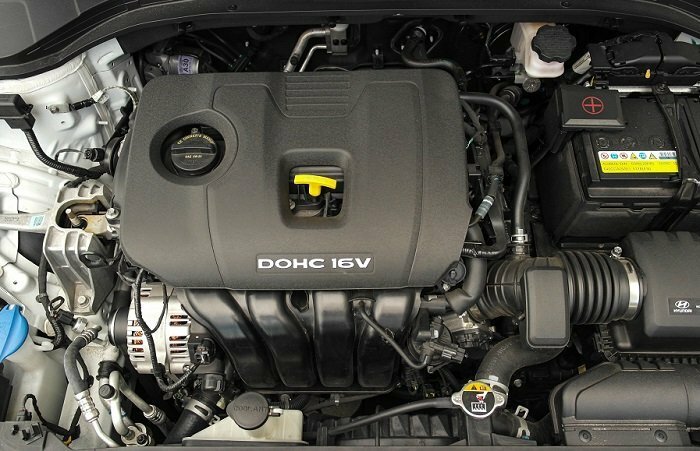 The two differ in their method of engine aspiration; Chevy went turbocharged and stuck with it – the 1.4-liter in our car is the only engine on offer, at least for the foreseeable future, and returns 153 horsepower and 177 lb-ft of torque. 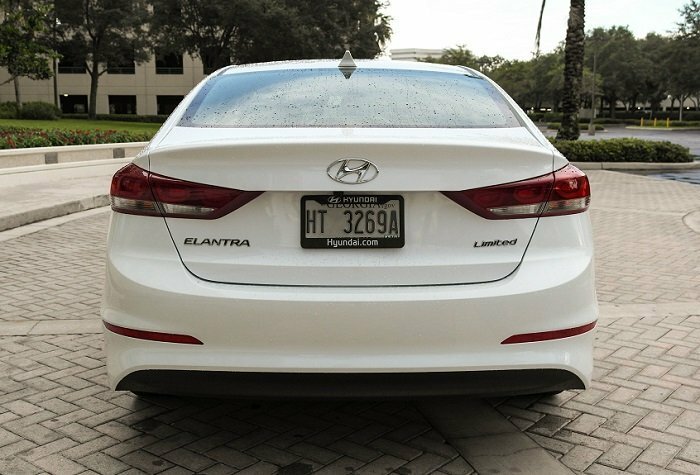 The Elantra sports an all-new naturally-aspirated 2.0-liter, codenamed “Nu” (cute), and churns out a more modest 147 horsepower and 132 lb-ft. 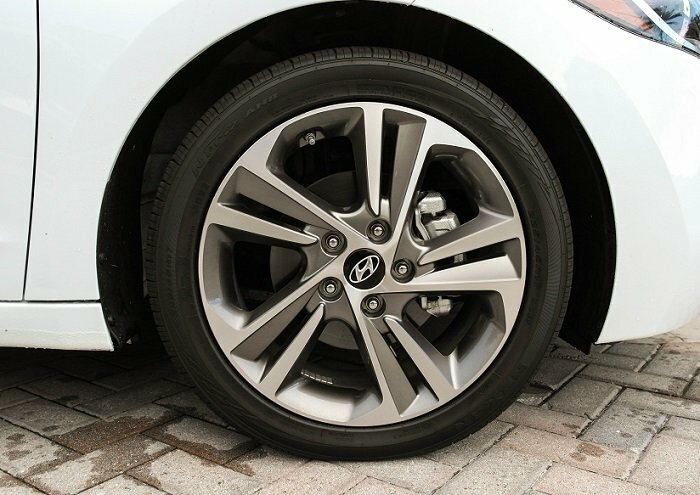 The Elantra Eco trim can also be ordered with a 1.4-liter turbocharged engine, but it’s more focused on efficiency than outright grunt and as a result, delivers just 128 horsepower and 156 lb-ft.
After driving the two cars back to back, GM’s decision to double down on boost appears to be an inspired choice. 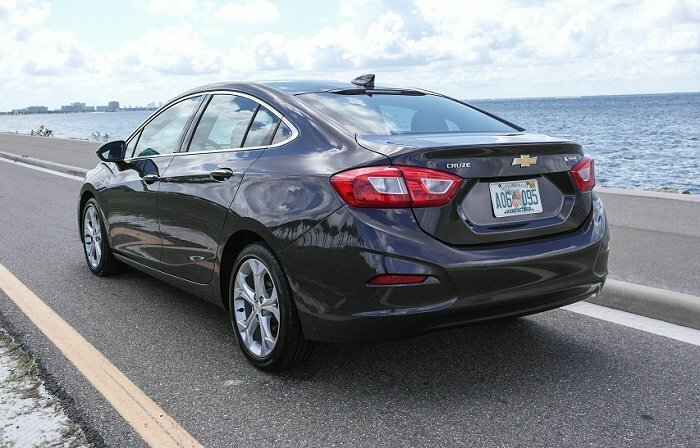 The Cruze feels more powerful everywhere, and the yawning gap in torque figures between the two cars is evident every time you flex your right ankle in traffic. 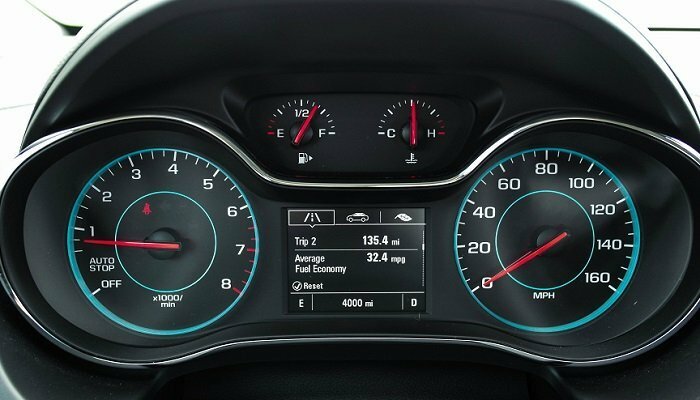 The Cruze is no barnstormer, but keeping up with the cut and thrust of rush hour traffic is a noticeably less stressful affair than in the Elantra, which must be wrung out toward 4,500 RPM and beyond to make any meaningful progress. Doing so didn’t seem to hurt our overall fuel economy, surprisingly, with the Elantra eking out one more mile per gallon to 33 combined during a week of mixed driving – pretty impressive. 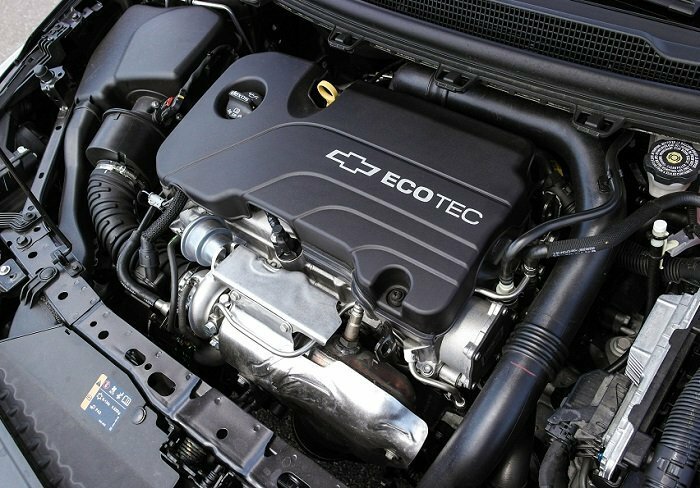 Still, we’d happily sacrifice the extra MPG for the Chevy’s less frenetic power delivery and easy torque. 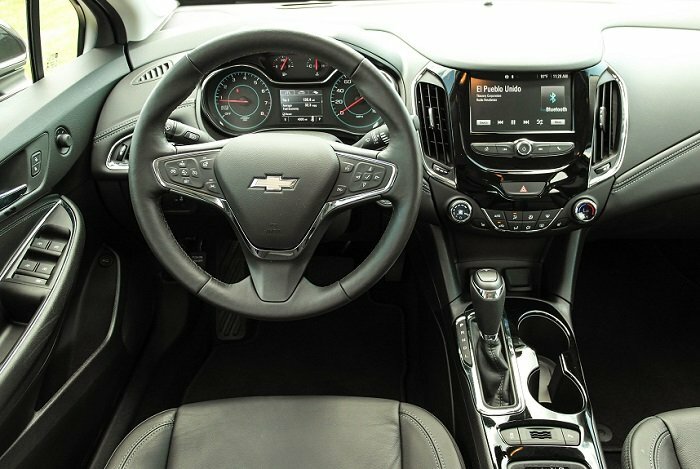 Both six-speed autos go about their business without fuss, though the Chevy’s ‘box responds more quickly to manual requests. 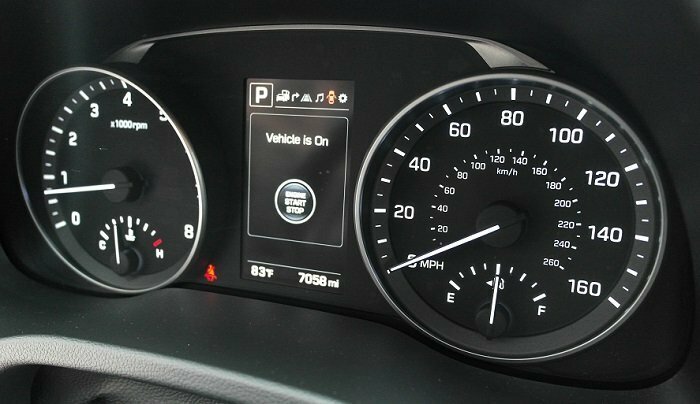 Neither car offers paddle shifters. Both cars would look remarkably similar up on a lift – MacPherson struts up and a torsion-beam arrangement at the rear, as well as four-wheel discs and rack-mounted electric power steering. 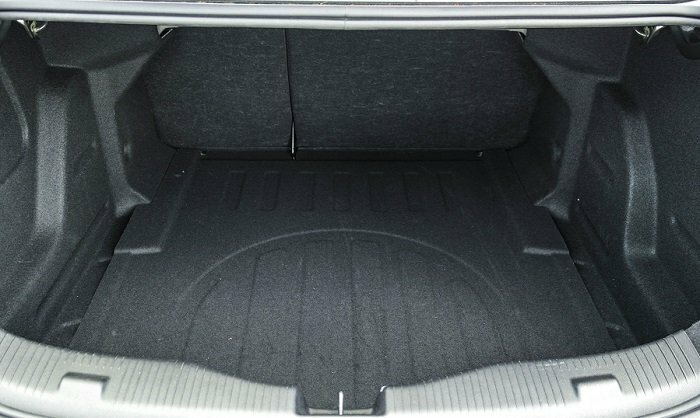 Putting the Cruze through its paces down a winding back road, its big-car damping and subdued body motions reveal a fully-baked platform. While it’s hardly what you would call “fun”, the Cruze is at least polished. 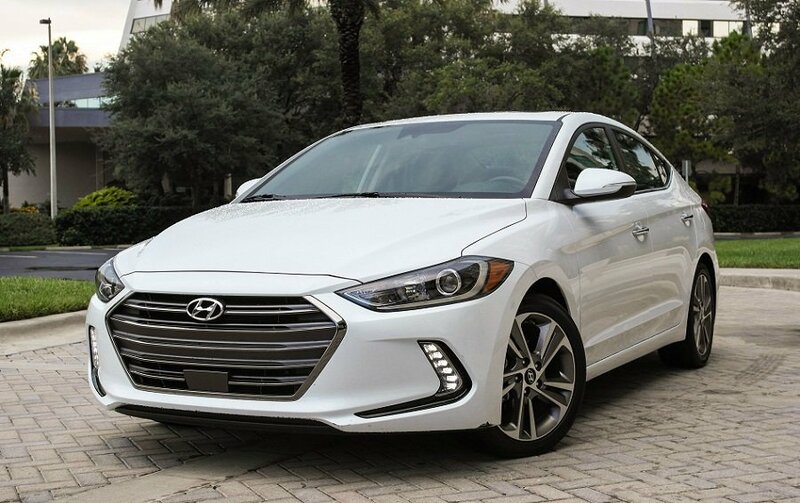 The Elantra also rides well and turns in eagerly, but its steering doesn’t feel as connected as the Cruze’s despite being a similar setup – in the age of electric power steering, software tuning is apparently everything. In general, the Elantra’s highway ride and handling behavior lean more toward “compact” than the Cruze’s “midsize”. 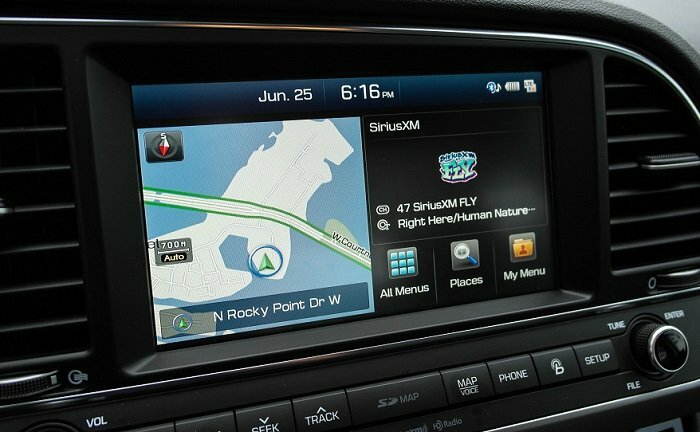 Both of our loaded testers offered all of the modern conveniences available to the compact class these days, many of which are so upscale they’d be unheard of even in full-size sedans of a few years ago. 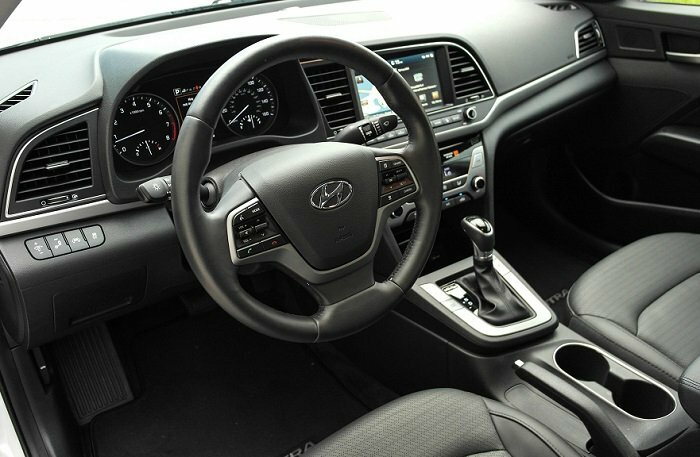 The Elantra, in typically generous Hyundai fashion, sported heated front and rear leather seats, proximity keyless entry, an 8-inch touchscreen with navigation, swivelling HID headlights, radar cruise control and automatic emergency braking. This Limited-trim model, as equipped with the Tech and Ultimate packages, rang the register at a not-insignificant $27,585. Good value, perhaps, but no longer cheap. Our Cruze Premier, though not quite as thoroughly outfitted as the Elantra, still featured such niceties as front and rear heated seats and a heated leather wheel, soft-touch surfaces and a “French stitched” accent line around the dashboard, a responsive 7-inch touchscreen with Apple CarPlay and Android Auto as standard, 4G LTE Wi-Fi and wireless device charging, and blind spot and forward collision alerts – all for $25,650. 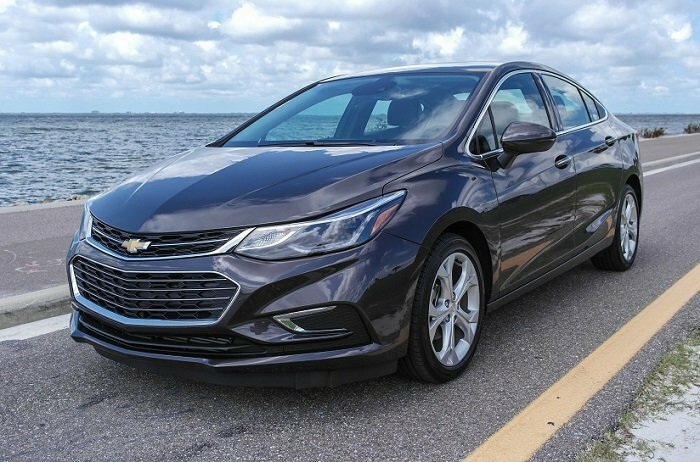 Though either of these cars would be considered thoroughly successful refreshes of already-popular compacts, in this writer’s opinion, it’s the Cruze that feels a more thoroughly rounded driver’s option. It doesn’t boast quite the same level of creature comforts as the Elantra, but then again its as-tested sticker is a fair bit lower. 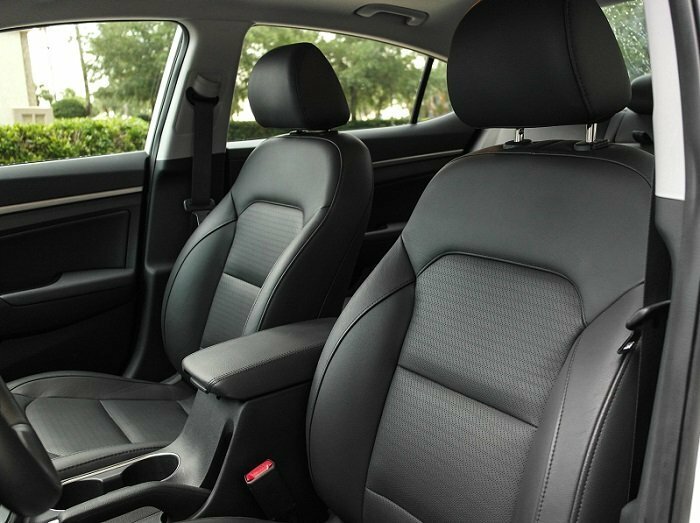 In return for its higher price, the Elantra boasts a nicer cabin and more usable space. 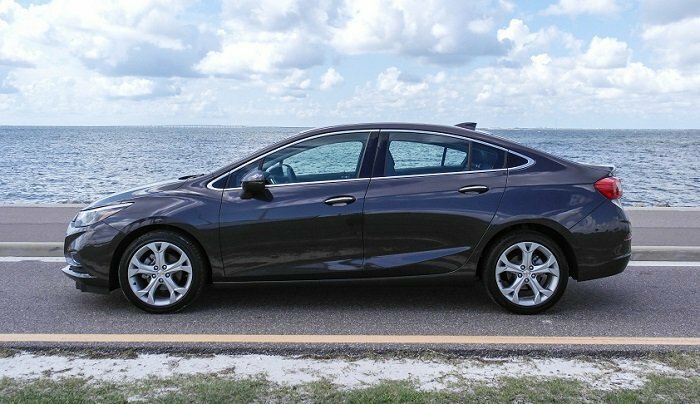 To say that neither of them gets the attention they deserve against the Civics and Corollas of the world would be a drastic understatement: anybody shopping the compact class would do well to put both the Cruze and Elantra on their lists.